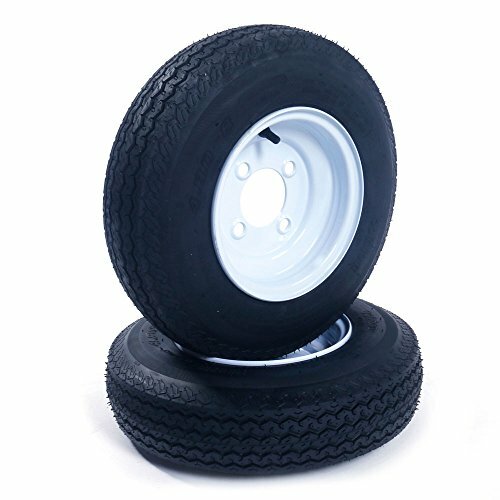 2 New Trailer Tires & Rims 480-8 4.80 X 8'' LRB 4 Lug Hole Bolt Wheel White Spoke, 4 Ply / 4PR by Autoforever at Daily News Miami. MPN: P819. Hurry! Limited time offer. Offer valid only while supplies last. Autoforever 2 New replacement tires 4.80 x 8 for replacement. Original equipment tread design, Designed with a strong rim for better supporting. Section Width: 4.7", OD: 16.1", Tread Depth:0.18", Rim Width: 3.75"
If you have any questions about this product by Autoforever, contact us by completing and submitting the form below. If you are looking for a specif part number, please include it with your message.